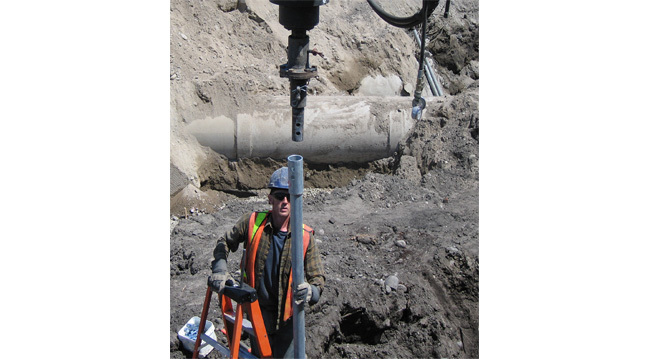 Work on the Kidd’s Creek Culvert Restoration project involved the supply and installation of 600 plus helical pile supports for new catch basins, man holes, culverts and storm and sewer pipe in downtown Barrie, Ontario. 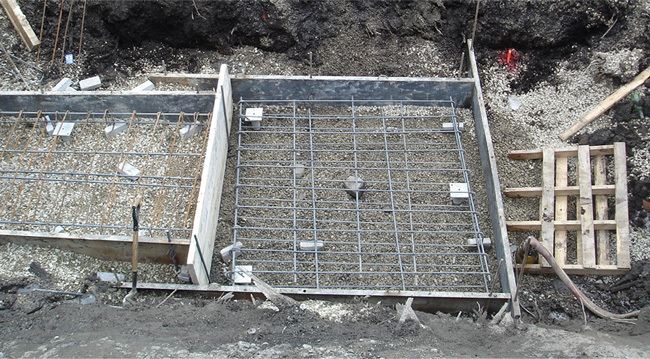 Helical pile support systems were ideal for use on the project based on the type of soils encountered and the project location related to the nearby lake. Excavation parameters were further impeded by the proximity of streets and roads required to be in operation while the work was in progress. 50 Kip design capacities were achieved on small diameter pipe, (2-7/8) which were installed and torqued as required. The versatility of the installations enabled the Owner to minimize costs by installing only lengths and depths required. 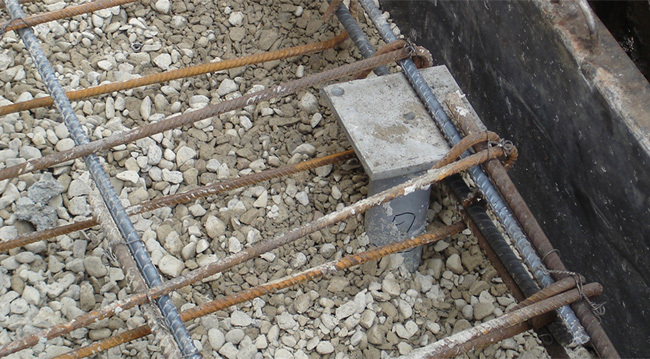 Due to the nature and achievable installation production rate it was possible to stay ahead of the concrete work as small areas of work were excavated in sections. 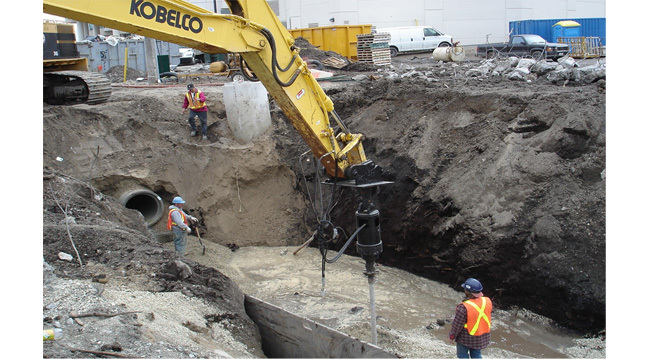 The helical pile supports were utilized on both the Kidd’s Creek project as well as the second phase of the retrofit and expansion located at Toronto and Simcoe Streets in Barrie, Ontario.